Jack Daniels Cap Hat. One Size Fit All. 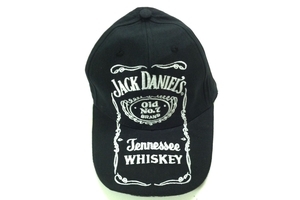 Cotton Jack Daniels with contrast stitching. Solid Black Cap Pops With White Stitching Highlights. Made of 100% chino twill cotton. Product of China.